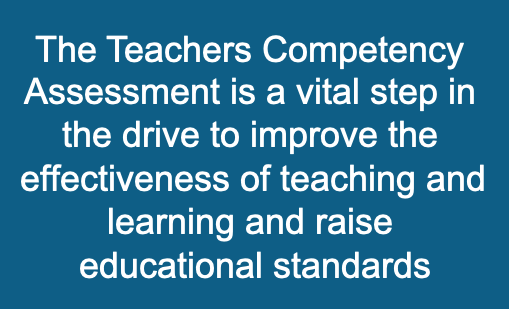 The Teachers Competency Assessment (TCA) is a powerful development system. It helps teachers and educators improving their performance and helping their students achieving the best results. All the evidence from different education systems around the world shows that the most important factor in determining how well students do is the quality of teachers and teaching. There is a consensus that improving teacher quality is one of the most direct and promising strategies for improving education outcomes. A teacher’s effectiveness has more impact on student learning than any other factor controlled by school systems, including class size, school size, and the quality of after-school programs – or even which school a student is attending. Improving the efficiency and equity of schooling depends, in large measure, on ensuring that teachers are highly skilled, well resourced, and motivated to perform at their best. The Teacher Competency Assessment (TCA) is designed to give teachers an assessment of where they stand in all performance areas and detailed guidance on how to improve. 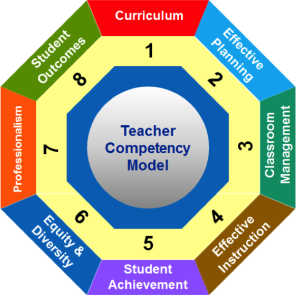 Teacher Competency Model (TCM) helps teachers and educators improving their performance and helping their students achieving the best results. The effective assessment of teaching is central to the continuous improvement of the effectiveness of teaching in a school. It is essential to know the strengths of teachers and those aspects of their practice which could be further developed. From this perspective, the teacher assessment is a vital step in the drive to improve the effectiveness of teaching and learning and raise educational standards. Our Teacher Competency Model is generic which means that the model can be customised, adjusted and updated to meet the requirements of a target educational system. The process of this customisation and update usually takes 3 – 4 months. 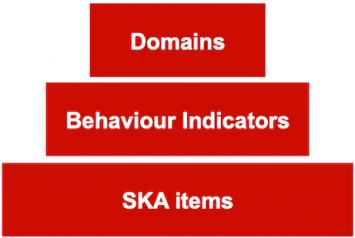 Each of the above domains has a number of indicators. Indicators are observable and measurable statements that provide evidence of the application of knowledge and skills in practice. These may be visible during individual lessons or over the course of the year. In turn, the information can be used as an input to an individual professional development plan (IPDP). The elements are more specific descriptions of actions and behaviours related to each Indicator. The elements further break down the Indicators into more specific aspects of educator practice and provide an opportunity for evaluators to offer detailed feedback that serves as a roadmap for improvement. The TCA model identifies what each indicator looks like in practice at four levels of Performance Standard Index (PSI) with each performance level populated with a percentage range as shown below. The information taken from the individual TCA will be utilised in the formulation of the teacher’s Individual Professional Development Plan (IDP) that shall also serve as input to the school- based capacity building of teachers.